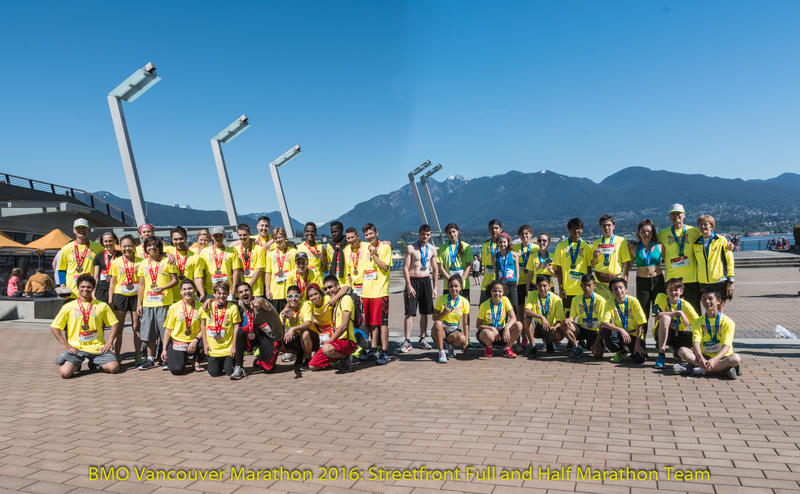 Here are the awesome 23 Full and 16 Half Marathon runners in the 2016 BMO Vancouver Marathon. A record number of present, past and those who embody the Streetfront spirit. Thank you to all who ran and those who support our running program!